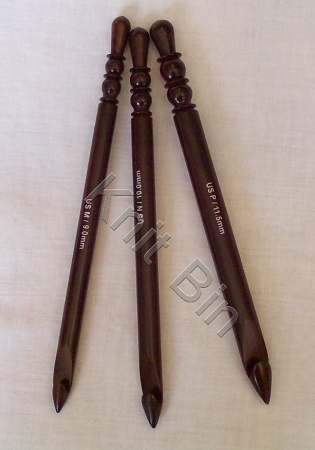 Produced by expert artisans in Nagina, India, these beautifully crafted rosewood crochet hooks are a privilege to own. The color is rich, and the finish is exceptionally smooth and durable. With one of these fine hooks, you'll know that you are working with the best! 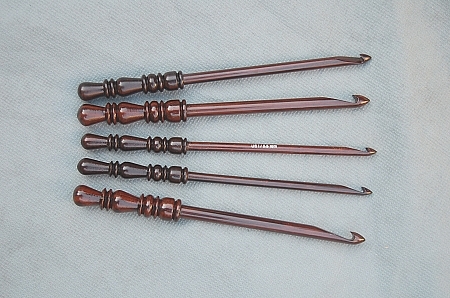 I love my Rosewood Hook. The yarn easily slides off and there is no snagging. These hooks are so pretty and smooth. Eventually I would like to get a full set. Wooden hooks are so much more comfortable for me.